SolRiver Capital invests in clean energy projects. We bring the full capital stack, with flexible options, and a streamlined process. We structure our investments around our partners’ objectives. We can acquire projects outright if a developer or installer wants to exit. Alternatively, we can invest in the project alongside our partners, taking a passive role and allowing our partner to manage the asset. We use a streamlined process to evaluate and close deals quickly. We offer partners access to our Solar Developer Platform, which provides direct access to our financial model, template contracts, and a carefully guided diligence process. It’s a free service to any solar developer or installer working with us. What type of capital partner do you need? SolRiver invests primarily in solar PV projects. We also invest in energy storage projects when affiliated with solar projects. 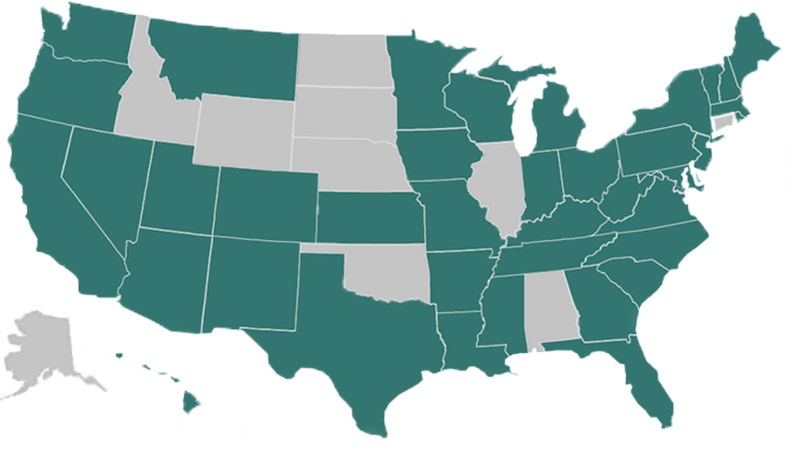 We are open to investing in any state with favorable economics and solar-friendly policies. SolRiver works with a wide range of partners, from solar Developers, Installers/EPC firms, brokers,and other energy investment funds. Our process is straightforward and easy. We share transparent pricing models to eliminate needless negotiation. We publish clear underwriting guidelines so our partners know what’s required before they begin. Many solar investors will not invest until a project reaches “NTP.” Yet, Developers often need a quick infusion of capital to get a lucrative project to “NTP.” SolRiver solves this problem by offering qualified developers true development equity. Of course, we bring the full capital stack (sponsor equity, tax equity, and debt) too. SolRiver’s management team has decades of experience developing solar projects. We understand the process. We know which issues are show-stoppers and which will be sorted out in due time. We leveraged this expertise to structure a fund that is tailored around the business realities of solar development, delivering dependable results to all stakeholders involved. If you have a project, please let us know. Feel free to use this form to: tell about your project and how you think we can help.